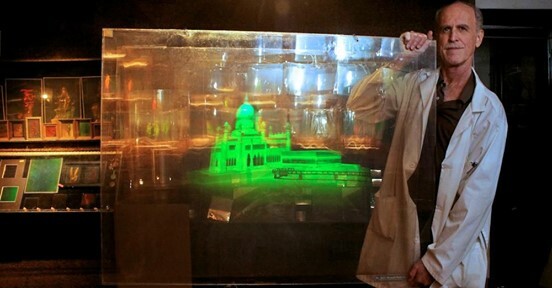 Jason Sapan, known as Dr. Laser, has been creating holograms inside his New York City laboratory since the 1970s. Dr. Laser’s not going to fix your broken bones with powerful rays. What he is going to do is show you around the Holographic Studios, his laboratory for creating three dimensional images on East 26th Street in Manhattan. Dr. Laser combines art and technology to produce captivating installations. He showed Cityscape around his studio, and introduced us to his life of holography.